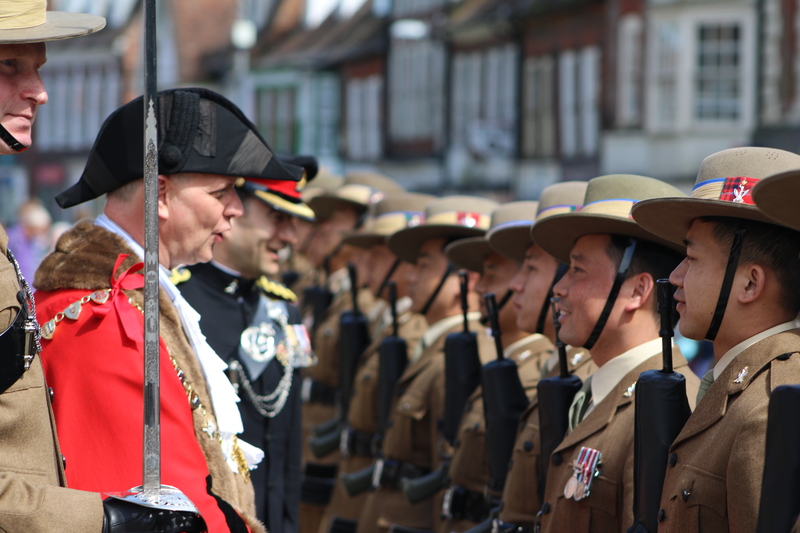 On Sunday 08 May 2016, the Queen’s Gurkha Signals exercised their Right of Freedom in Blandford Forum that was first granted to them in 2005. 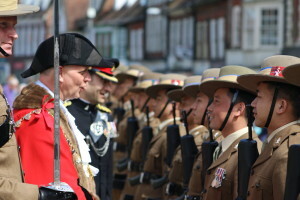 Led by Lt Colonel Mike Fayers, Commanding Officer Queen’s Gurkha Signals, and accompanied by the Band of the Brigade of Gurkhas, about 100 members of the Queen’s Gurkha Signals marched through Blandford to a wonderfully supportive crowd. 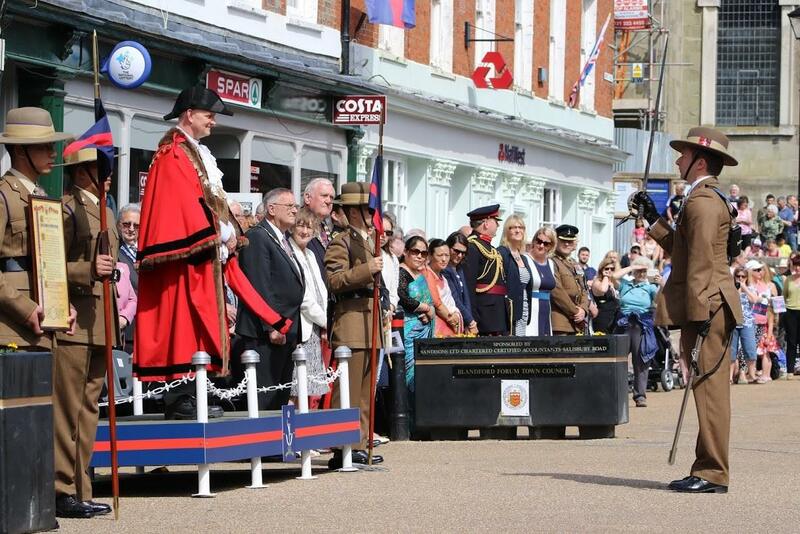 Many members of the public came to see the Gurkhas exercise their freedom on a warm sunny day in the Dorset market town. The right of ‘Freedom of the Town’ is an ancient privilege and allows a Regiment to parade through the town with ‘bayonets fixed, drums beating and colours flying’. It comes from a period in history when only trusted units would be allowed to carry arms within the town’s boundaries. Lt Colonel Fayers, was the Parade Commander and reported to The Mayor of Blandford, Councillor Stephen Geoffrey Hitchings, before the troops were inspected prior to marching through the town. Also present were: HM Lord-Lieutenant of Dorset, Mr Angus Campbell Esq; the High Sheriff of Dorset, Sir Philip Williams Bt DL; Colonel of the Regiment, Brigadier John Cole OBE; Colonel Brigade of Gurkhas; Colonel James Robinson; and Corps Colonel, Colonel Simon Hutchinson MBE ADC.